Now, I know its not July, but I was in the Christmas spirit and I’ve been meaning to make a good Santa hat pattern for my booth in October. Oh yah, if you happen to be in the Thousand Oaks area on October 16th I’m having a booth at the 20th Annual Thousand Oaks Street Fair on Moorpark road! For more information and directions click here. Anyhow, back to business. I made them in red and green, and I think I’m gonna put elf ears on them soon too! 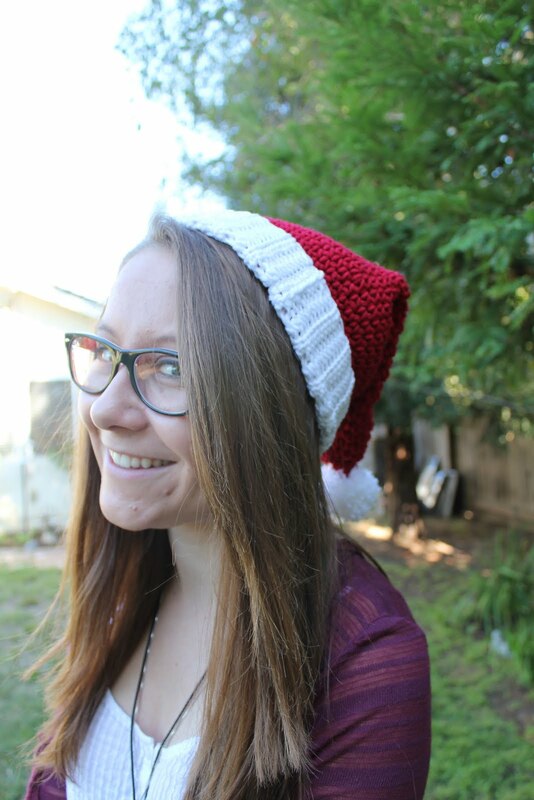 So anyhow, here’s some photos of my cousin Sara wearing the Santa hats. I don’t have the pattern written down just yet, you’re just gonna have to wait for Christmas I guess! This entry was posted in Adult, Blog, Child, Christmas, Hat, Santa on September 1, 2011 by Louis Mensinger.